Nantai Island is planned to become the new heart of Fuzhou. 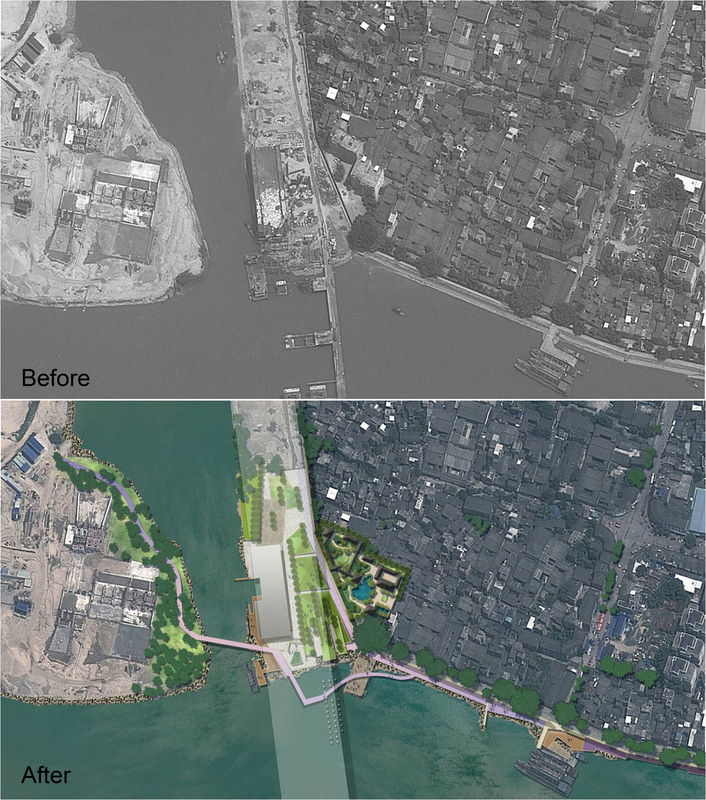 The transformation of its 60km waterfront provides the opportunity to reshape urban life for citizens, create an engaging year round open air part that prioritizes people’s wellbeing, and improve riverfront landscape quality. The existing site has a fragmented land use where city life is separated from waterfront by buys roads; people rely on cars for daily life, with environment degradation increasing. 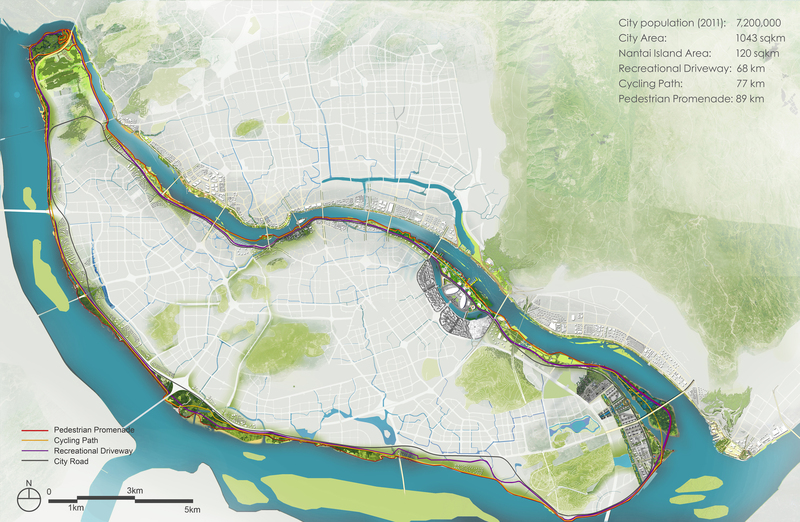 The “Nantai Ring of life” formed a connected, environmentally sound waterfront greenway system with strong recreational experiences that relates to the local context. The loop road is also designed in anticipation of international sport events such as marathons, triathlons and bike racing. The “Ring of Life” includes an eco-recreational driveway, a cycling path, a riverfront promenade, and an ecological landscape corridor that preserves water sensitive areas and connections to city open space network. 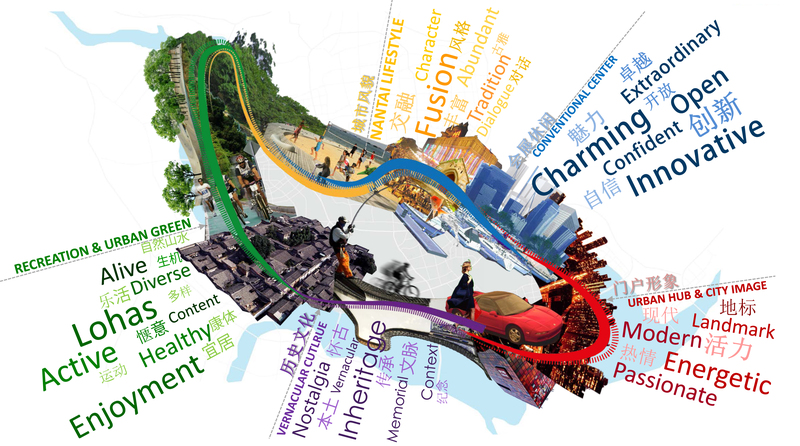 The “Ring of Life” is divided into five sections, each with a color theme-lacquer red, water blue, wood yellow, Banyan green and tile violet, highlighting aspects of Fuzhou history, culture and urban context, to represent their unique landscape experience. 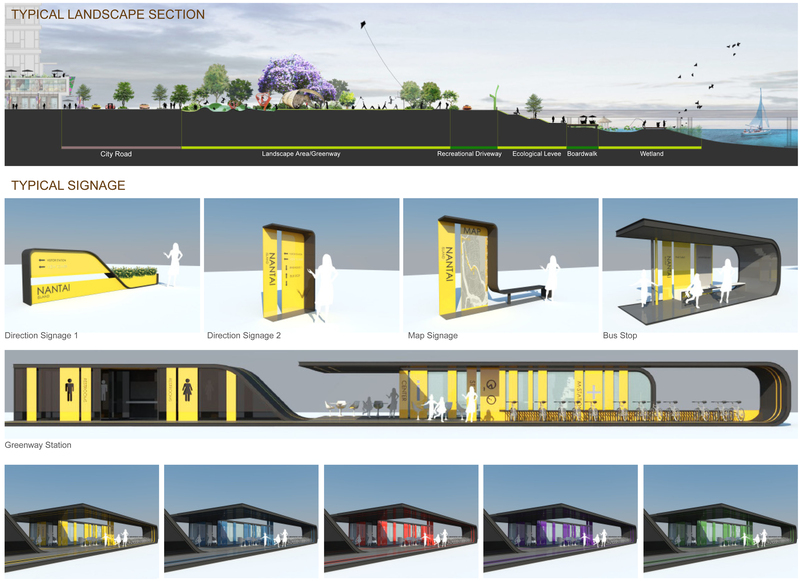 They are interpreted through material, planting, signage, landscape features and embankment system. Throughout, each citizen can find his lively place in the heart of this rapidly growing metropolis. The “Ring of Life” transforms a 60km fragmented waterfront into an exemplary multi-functional lifestyle greenway that better integrates the city, enhances the city image and ameliorates the well-being of its citizens.